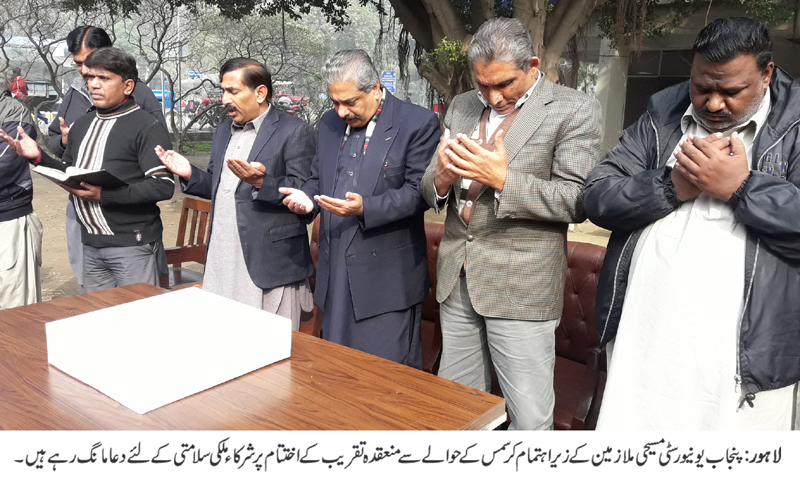 LAHORE: (Saturday, December 16, 2017): Punjab University’s Christian staff has organized a cake cutting ceremony in connection with the celebrations of Christmas. 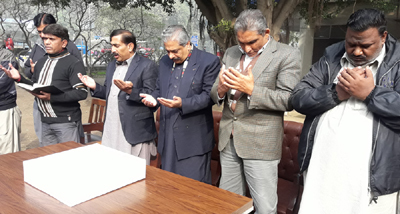 On the occasion Resident Officer-II Malik Muhammad Zaheer, Choudhary Mushtaq Masih and a large number of staff members were present. In his address Ch Mushtaq said due to religious liberty, we have been celebrating such events since last 12 years. Later the participants prayed for the prosperity and peace of the country and PU. Earlier, a cake was cut to celebrate the event.